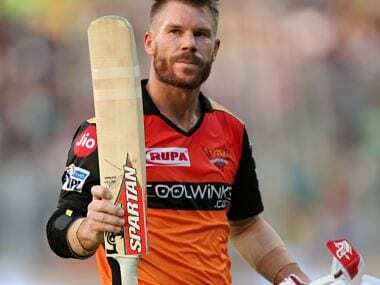 On road to redemption, Warner hit a purple patch, slamming 85, 69 and 100* in the last three IPL matches for Sunrisers and Moody said the Australian was preparing mentally and technically during his suspension. New Delhi:David Warner worked on the mental and technical aspect of his game during the 12-month ban and has shown tremendous resilience to make a successful comeback after the ball-tampering scandal, Sunrisers Hyderabad head coach Tom Moody said on Wednesday. Warner and Steve Smith were banned by Cricket Australia for a year, while Cameron Bancroft was handed a nine-month suspension for their respective roles in the ball-tampering scandal in South Africa last year. "I think we've seen over his career what makes him unique as a player. Yes, he's had to sit out of top-flight cricket, international cricket, for 12 months. But David Warner has been preparing for six months, too, for his comeback," Moody said. "He's played a couple of franchise tournaments over that 12-month period. He has obviously played club cricket in Sydney as well. Okay, it's not the same standard, but he's been preparing more mentally and technically. "His game technically is relatively sound, so it's the case of getting him sorted mentally and he welcomed the start of this tournament and for him to get back on the horse, so to speak." Asked about Warner's mindset at the moment, Moody said: "He is in a very good place. He has come back full of enthusiasm, full of determination and with a lot to prove. "David Warner and I think all top players are the same they have got an unquenchable thirst for the game and to have success in the game. That thirst certainly hasn't been withdrawn by any means. "He has always had a very positive mindset. He is a very determined and resilient individual. I think to endure what he and (Steve) Smith and (Cameron) Bancroft had to over 12 months there has to be a lot of mental toughness. There has to be a lot of resilience. You could very easily find yourself down for long periods of time." With Warner in full flow, Hyderabad's middle order didn't get much chance to bat so far in the tournament. 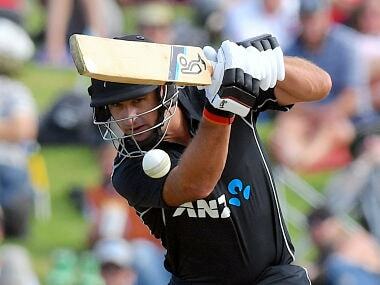 However, Moody exuded confidence that the middle-order will come good when required. 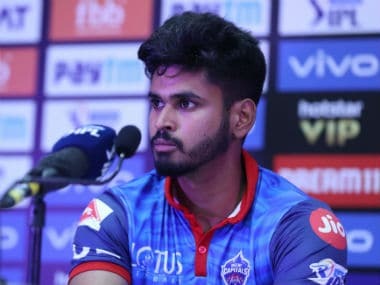 "It's inevitable that there's going to be opportunities and times when the middle order has got to carry a substantial amount of the workload in our batting. 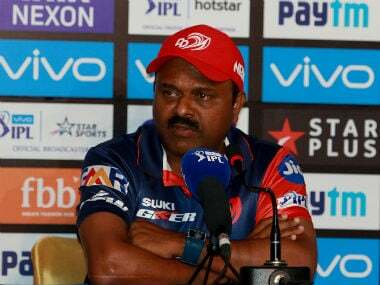 At the moment, we've been fortunate enough to have three hundred-run partnerships in a row at the top of the order," he said. "But we've got full confidence in our middle order. 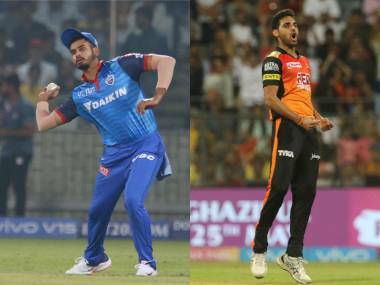 And our middle order has only been strengthened with the likes of Vijay Shankar coming back. So, I'm sure they are going to welcome the opportunity to accept the challenge when that presents (itself)." 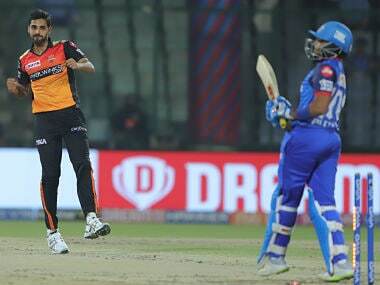 Sunrisers will now take on an inconsistent Delhi Capitals at the Feroz Shah Kotla on Thursday. 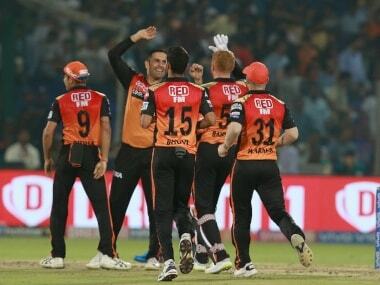 "We really feel Delhi is a really strong side, a well-rounded side. And there's a challenge of playing in different conditions. Playing here in Delhi, the adjustments you need to do with bat and ball that are important to be effective.